Believe it or not, it's been ten whole years to this week that The Lord of the Rings trilogy – now celebrated as one of the most beloved and acclaimed series of films of all time, and rightly so – began its cinematic journey with the release of The Fellowship of the Ring. How time flies. A fitting time then to satiate the orc-like appetites of Tolkien and LOTR fans across the globe with the first-ever look at prequel two-parter, The Hobbit: An Unexpected Journey. As debut trailers go, The Hobbit: An Unexpected Journey's is a fairly subdued affair (even at over two minutes in length), though that's not to say it doesn't tug at the heart strings for fans of the series. Gorgeous views of Middle Earth landscapes? Check. A ponderous, contemplative Gandalf the Grey seeking refuge by the fire of Bag End? Of course. Glimpses of the kind of magnificent set-piece battles we've been so attuned to in the trilogy? Absolutely. A look at the most unlikely band of heroes (the dwarves who accompany Bilbo on his perilous quest)? Sure. And a melancholic sing-song? Fitting. What the teaser also serves up is a gentle reminder that The Hobbit is to be split into two parts. 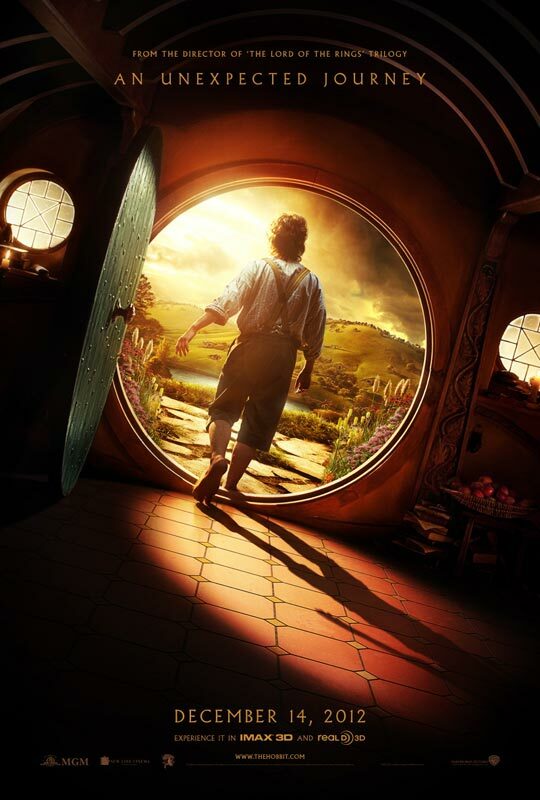 The first of which (An Unexpected Journey) will tell much of the main Hobbit storyline in which Bilbo (Martin Freeman – terrific casting) and his merry men journey to reclaim treasures guarded by dragon Smaug, while the second (There And Back Again) will act as a prelude to The Lord of the Rings, bridging Bilbo's adventure with the trilogy.